Doctors, dentists and pharmacies are up in arms here in South Africa. New laws that have been promulgated recently, in an attempt to make medical care more accessible to the general public , is causing the stir. Doctors who have passed all their courses including those covering the dispensing of medicines, have been told that they need to rewrite the dispensing course or their dispensing licences will be revoked. Of course the cost of this course will be for the doctor's account as well. The doctors have refused to rewrite the course and this has badly affected some of the country towns where there are no pharmacies. People can visit the doctor but have to drive hundreds of miles to get their medicines. That's not the only problem! If the doctor dispenses without the licence, which many of them are doing to assist their patients, medical aids refuse to cover the patients claim for the medicines. Pharmacies have also ended up on the wrong end of this matter. Prices of medicines have to have one exit price from the factory to the patient. For example, a medicine sold at R100.00 by the factory will be sold at the same price to the patient at the pharmacy. Pharmacist are allowed to add on a laid down percentage calculated on a two tier system. Medicines below R100.00, and, medicines above R100.00. Of course, the outcome is that many pharmacies have run into financial difficulties as their profit margins have been severely undermined by the new rules. Many small country towns have lost their pharmacies due to the above and many pharmacists have lost their livelihoods. The pharmacies have not taken this matter lying down and have taken the matter as high as the appeal court to get the law changed. Their most recent appeal was upheld, but the pharmacies were stifled by the government when they appealed the matter at the Constitutional court. This had the effect that although the pharmacies had won their case and could go back to charging the public their normal prices for medicines they in fact could not do so as the matter had not yet been finalised in the Constitutional court. In the meantime the public will pay the laid down prices plus all the added levies etc that the pharmacies have added on to keep themselves solvent. For the public it's a benefit, but also a worry , because, if the government can close pharmacies and doctors on a whim, what else can they do to business here in SA. 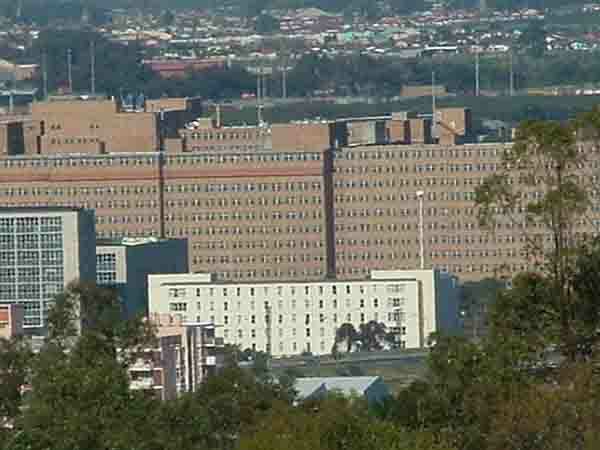 By the time this mess has been sorted out hospitals such as Tygerberg will also have to close their doors. Budgets for all government hospitals have been severely cut and they have had to make do with what they are given. A hospital such as the world famous Red Cross Children's in Rondebosch has to generate its own funds by means of radiothons, fetes and collections to make ends meet. Many of the hospital services they once offered are no longer available as their equipment has been broken for years and with no budget cannot be repaired. Tygerberg has started a refurbishment program of their wards but still have a major problem when it comes to security. As fast as they replace equipment it gets stolen. Some of their linen has been found in flea markets in Spain. In South Africa public hospitals are obliged to take all patients brought to them irrespective whether they can pay for their treatment or not. This has a limiting effect on what the hospitals can generate in funds. On weekends staff in the public hospitals sometimes fear for their lives as they treat drunken members of rival gangs that have been injured in fights. Often the rival gang members continue their fights in the corridors of the hospitals. As a result many of the trained medical personnel move to greener pastures. The unfortunate fact is that all this could be avoided if white collar crime could be controlled. Money that should end up in the hospital budgets is ending up in some corrupt officials pocket or not being spent at all due to the incompetency of the offical concerned. There, however, appears to be some light at the end of the tunnel as the Scorpions who are investigating many of the scams bring the culprits to book. We the people of South Africa need your support in sorting out our many problems. How can we help you may ask? Visit Cape Town and South Africa in your droves!